Due to his work in product and interactive design, Scott Curtis is the primary or secondary inventor on 65 United States Patents. His portfolio of inventions and patents is divided among Digital Music and Video, eBooks, Location Based Services, Proximity Services, Content Search Optimization, Social Media, Consumer Electronics, and Geographic Positioning and Mapping. United States Patent 8,375,053 A fuzzy, or ambiguous, keyword searching process and systems for implementing the fuzzy keyword searching process are provided. In general, one or more keyword search terms are first identified for a search. 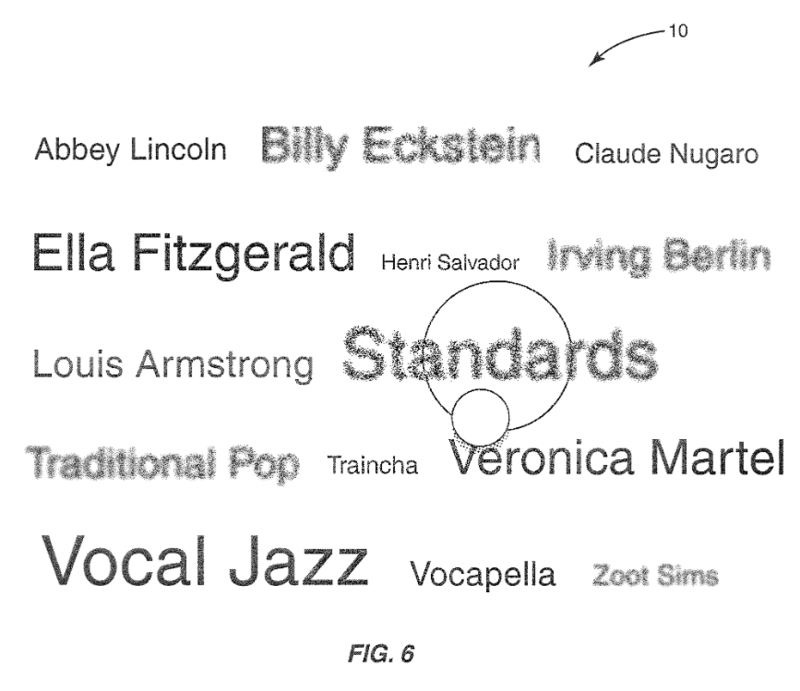 Next, a user is enabled to adjust a logical fuzziness, or logical ambiguity, for each of the one or more keyword search terms. As used herein, logical fuzziness of a keyword search term refers to the extent to which associated keywords are considered for the search. In one embodiment, the user may also be enabled to view and adjust keyword associations for each of the keyword search terms. A search is then performed based on the one or more keyword search terms and the logical fuzziness of the one or more keyword search terms, and results of the search are presented to the user. 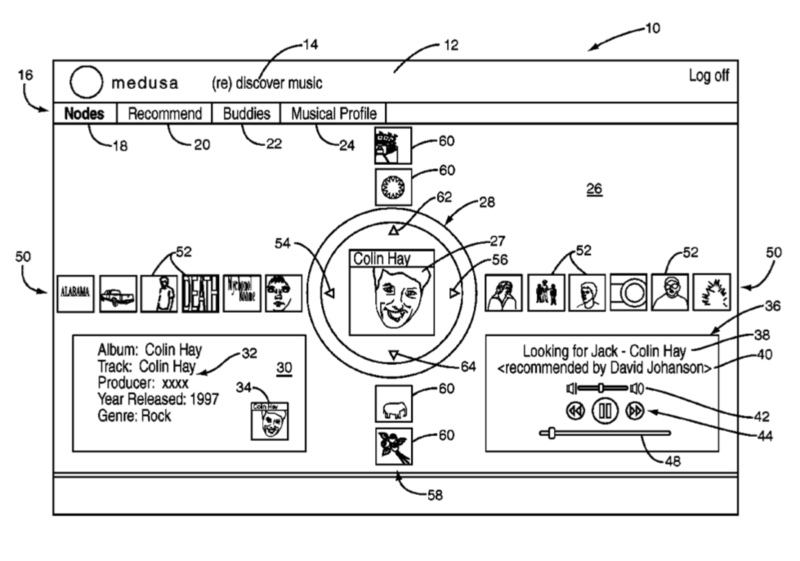 United States Patent 8,434,024 A system and method for automatically, programmatically generating media item recommendations on a graphical user interface (GUI) based on a friend media item recommendation selected by a user. In the preferred embodiment, a selected media item recommendation is displayed in the GUI. United States Patent 8876610 A system and method are disclosed for providing location-based wagering. In one embodiment, wagerable data associated with a location of a first user is identified. The wagerable data may be any type of data on which a wager may be based. Then, a wager recommendation is generated based on the wagerable data and returned to the first user. The first user defines a wager, and the wager is published to one or more second users located in proximity to the first user. Each of the one or more second users is enabled to accept the wager if desired. In addition, one or more winners and one or more losers of the wager may be identified and payout may then be effected.